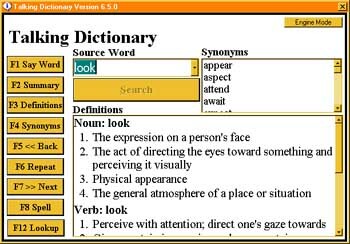 The first speaking English talking dictionary products for the visually impaired and handicapped computer user! 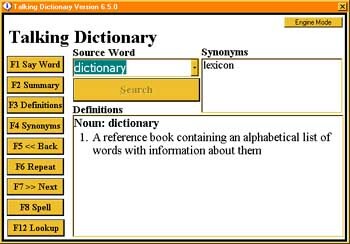 Talking Dictionary is a speech enabled 250,000 word English dictionary and thesaurus. 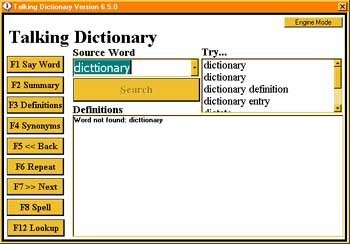 Like all the talking dictionary software products on this site, Talking Dictionary has been designed for use by the non sighted person. All of the controls are easily remembered keyboard shortcuts and it is a very fast and easy Talking Dictionary software to use.